After sixteen days of showing films, welcoming crowds, making deals, and allowing directors to give Q&A’s to the audience, the Vancouver Film Festival ended its 30th year on Friday, October 14th. I had my excitement with volunteering and seeing seven different shows of differing variety. Those that volunteered, like myself, were treated to a Mexican style brunch at the Waldorf Hotel which consisted of some prize giveaways and small gifts. Almost a week later, the news hit that this year’s film festival achieved new records. The 2011 Vancouver International Film Festival was the most attended and highest-grossing VIFF. Admissions totalled over 152,000, up from 148,000 from last year. Ticket revenues also hit a record with $1,178,811, breaking the record of $1,074,025 also set last year. Very impressive. One thing we learn about hosting film festivals like these is that the money from ticket sales are not enough. Although we hit a new high in ticket sales, the Festival itself costs $3.5 million to put on. The remainder of the baklance is covered by government support (about 10%), private sector sponsorship, and personal donations. One thing about this year is that there was a bigger expense this year in using the Vogue Theatre for showing movies. Although the VIFF used the Granville 7, Pacific Cinematheque and the VanCity Theatre as it did last year, the Park Theatre wasn’t used this year, opting for bigger crowds with the Vogue Theatre. The Vogue served as the Visa Screening Room for all the big premeieres and Gala events, replacing Theatre 7 at the Granville 7. It did pay off as film crowds were bigger for the Vogue. So there you have it. Those are the winners of this year’s Vancouver international Film Festival. Great to see the Festival end on a great note. I’m happy to have volunteered for the Festival this year. I hope to volunteer for the Festival again next year and I hope to see its records broken again. Will it be a marquee film festival in the future like Cannes, Sundance, Venice or Toronto? Only time will tell. Nevertheless I commend the VIFF for showing its huge variety of films, showing the most Canadian film and for promoting a wide array of films and talents from the up-and-coming to the established. Also I commend the volunteers for doing a good job with the crowds. Last year my uncle visited the Toronto Film Fest and he said the people thee get treated like cattle. So I myself comment the VIFF volunteers for treating the crowds right. Here’s to the continued success of the Vancouver International Film Festival and to its success in the future years. VIFF 2012: Starting September 27th. Already I can’t wait! Back on Saturday, I started my volunteer work for the Vancouver International Film Festival. It is my fourth year volunteering. It’s great being part of an event that gathers a lot of media attention and helps promote filmmaking. If you look back to the late 1970’s, you might remember there being film festivals like the Toronto Film Festival and the Sundance Film Festival that garnered very little attention but were growing at the time. They were still below the ranks and renown of the more established film festivals in Europe like Cannes, Venice and Berlin. Since then, Sundance and Toronto have made a major impact on the film world with its releases and its promotion of films. The Vancouver International Film Festival started in 1982 and now ranks as one of the top film festivals in North America. It nevertheless does carry a bit of an identity crisis but does have a lot to offer. Since the Vancouver International Film Festival, the VIFF, opened in 1982, it has grown to an annual attendance of 150,000 every year since 2003. The 2000’s saw the construction of a special theatre, the VanCity Theatre, and an adjacent office for the VIFF organizers. This year it features over 300 films from 59 countries. Quite a lot. Nevertheless many feel that the VIFF is sandwiched in the role of playing second-fiddle to the Toronto Film Fest. In fact one person frequently tells me that we always get the ‘leftovers’ from Toronto. It is true that we get a lot of films that have already had their show at Toronto, especially those that get a special presentation at the Visa screening room. Very rarely, if ever, does a big-name actor show up. At most, a big feature will only have a tech person in the audience at the VIFF. What’s also true is what the VIFF has to offer on its own. Firstly the VIFF has more Asians films than any film festival in North America. This year there are more than 100 from dozens of countries. The VIFF also features more Canadian films and works than any other film festival in Canada. Not even Toronto has as much. They’re too busy hyping up the Oscar contenders. The VIFF also features loads of documentaries. There are dozens this year too from a wide variety of topics. The VIFF also features a lot of short films and films for youth. The film festival is not simply a festival showing straight features but a wide variety of films from across the spectrum from shorts both animated and live action to at least four films longer than 4 hours. There’s also the possibility of Q&A sessions from directors and even actors. The VIFF also has a lot of dealings going on. Some films will catch the eye of distributors and will work things out to have them shown to the big screen. Others, like documentaries, will be able to be shown on specialty television networks. Some will be promoted as videos or films for special groups or resource centers. Like last year I saw the Canadian film Two Indians Talking and the director said in the Q&A that she hopes for it to be put on DVD and shown in First Nations resource centers. Then there are those where the VIFF will be the furthest their film will get. That’s the nature of the beast in filmmaking and promoting. It’s always a case of chance and luck of how far it will go. Another thing the VIFF did was that it had a special panel. With this being the 30th Year of the Festival, it had a look back to the early years of the Festival and also hosted a free forum about the future of film. I wasn’t there at the Forum but I’m sure there’s a lot of discussion. I myself believe the world of film faces a lot of challenges in the years and decades ahead. One is the future of creativity and taking film in new directions in what is essentially a bottom-line business. Film can allow for a lot of creative minds to express themselves but there’s this beast called ‘showbiz’ where the subject of movie marketability is inescapable. Whether creativity can be taken in new directions and possibly even change filmmaking, only time will tell. Another factor to take into consideration is the multitude of media sources one now has, including some that didn’t exist ten years ago. When the VIFF opened, film’s top rivals were television, VCR and the newly-created pay TV. Multiplexes were increasing but it was still possible for a single-screen cinema to hold its own. Today, we have digital cable with hundreds of channels at our fingertips. We have websites like Youtube and Netflix. We can watch a movie on our laptop or even on our cellphone. 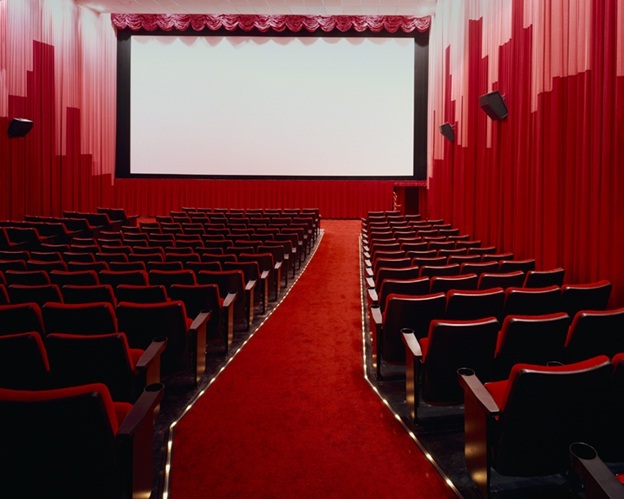 Multiplexes are now the mainstay for big screen cinemas and single screen cinemas nowadays have either succumbed, are now in the fight of their life, or have to have some backing from some film source or company. Some of you may already have read some of the current difficulties of running a cinema as noted in my Hollywood Theatre article. Just to give a heads up, there’s going to be a multiplex opening in the new shopping mall at the New Westtminster station: ten cinemas with a total of 1800 seats. A multiplex with samll per-screen theatres; another example of what’s happening with the movie business. Don’t get me wrong. There will be a future for film–there’s no doubt in my mind– but it has a bumpy road ahead. This year, there were some changes in the venues with the Festival. The Granville 7 still remains the biggest venue for showing films but the Visa Screening Room is no longer Cinema 7 on the top floor. Instead it’s the Vogue Theatre. The Park Theatre is not one of the alternative theatres this year. The VanCity and Pacific Cinematheque are still being used for the Festival. Last year, the Festival opened with the screening of a Canadian film–Barney’s Version— with promotion of Telefilm Canada. This year they open with Pedro Almodovar’s The Skin I Live In, a film from Spain. Last year, they closed with the animated movie The Illusionist. This year, they close with the French film The Kid With A Bike. In its thirtieth year, the Vancouver International Film Festival shows strong signs of growth. It may have a while before it joins the ranks of Sundance and Toronto but I’m sure it will continue to establish its own identity in the future. For more information about the Festival, go to the VIFF website.